Was our ongoing slogan for a while. The link above shows you our Kemonomimi races for Pathfinder. 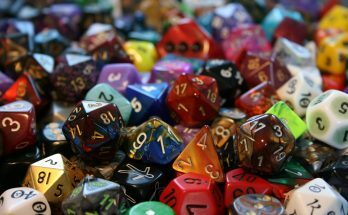 If you are on a budget, you can always find them HERE on the d20PFSRD. Our designer of the Kemonomimi, Wojciech Gruchala, took his original work and converted it to 5e for our Art of War kickstarter. I will share with you today the loveable and cuddly Tanukimimi. Most tanukimimi are perfectly happy to live the lives of simple commoners, often under the rule of other kemonomimi, though they will resist oppression fiercely. They are fond of good nature jests and harmless practical jokes, especially when performed by children and elders. Almost-human in appearance, tanukimimi have a pair of animal ears and a bushy tail. Their skin is brown with a patch of brighter brown on upper part of their faces, temples, back of the neck, and the shoulders. They usually have brown hair, though auburn, grey, blonde, and even black hair are quite common as well. Many tanukimimi are quite stocky with well developed belly. Ability Score Increase: Your Constitution increases by 2, and your Charisma increases by 1. Age: Kemonomimi reach maturity at the same age as humans, though they tend to age at a bit slower rate, more often reaching 100 years of age. Alignment: While usually good natured, there is a significant fraction of tanukimimi that are evil, whose mischievous ways veer into outright cruelty and malice, though usually rather petty, lacking the true villainy reached by other kemonomimi. Like other kemonomimi, spirit-worship is common, with nature spirits being central to the rural communities and ancestral spirits being revered by families and individuals. Size: Tanukimimi are roughly the same size and build as humans. Your size is Medium. Darkvision: Your yokai ancestry grants you superior vision in dark and dim conditions. You can see in dim light within 60 feet of you as if it were bright light, and and in darkness as if it were dim light. You can’t discern color in darkness, only shades of gray. Animal Affinity: You feel a special link and kinship towards tanuki and similar beasts, gaining an advantage on all ability and skill checks when interacting with them. Surprising Tenacity: You can gain temporary hit points equal to your character level plus your Constitution bonus as a bonus action. Once you used this ability you cannot activate it again until you finished a long rest. Outdoorsman: You gain proficiency in either Stealth or Survival skill. Language: You can speak, read, and write Common and Sylvan. Sylvan is the language of nature spirits to which your kind traces descent. And there you have it, the Tanukimimi. 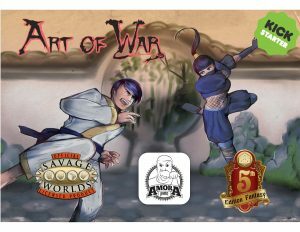 Thanks for reading, and don’t forget to stop by our kickstarter: Art of War.